The House GOP’s initial decision to reject the extension of the payroll tax cut was a bone-headed move. Indeed, it was impressively masochistic in the way it brazenly violated not only public opinion, but also the will of Republicans in the Senate, the vast majority of whom voted for the bill. But while Congressional Republicans were violating all manner of political common sense, that’s not to say that they weren’t following any sort of political logic at all. It just happens to be a logic of a particularly twisted sort. One of the dominant factors motivating the decisions of rank-and-file right-wing House Republicans—and not just freshmen—is their lack of trust in Speaker John Boehner. They like him, but they just don’t believe he’s a dependable defender of their interests and beliefs. Those suspicions aren’t entirely groundless. Yes, Boehner has gone out of his way to cultivate the most conservative members of his caucus—every time he has hit an impasse, his first move is to the right, to accommodate them, not to the middle to replace some of them with willing Democrats. But the Speaker has also shown a penchant for compromise that right-wing House members can’t abide. The first negotiation he conducted with President Obama was over the fiscal 2011 Continuing Resolution, which he billed as a sweeping reduction in spending with nearly $40 billion cut from the year's collective appropriations. But it turned out in the cold light of day to be something else entirely, with only a fraction of a fraction of the cuts occurring in the remainder of that fiscal year. Next came the Speaker's negotiations with Obama over a "grand bargain" on deficit reduction as the debt limit approached. No matter that Boehner extracted a range of concessions from the president, including cuts in discretionary spending and on Medicare—the package included a tax increase which conservative Congressmen deemed unacceptable. So when the Speaker appeared to again sign onto a deal laden with compromise—this time over the payroll tax cut that extended it for only two months, while including the main concession conservatives had demanded, action on the Keystone pipeline—those conservatives noisily rebelled. Boehner’s trust gap is exacerbated by the fact that the rest of the GOP House leadership has been undermining his credibility as a negotiator. House Majority Leader Eric Cantor noisily dropped out of the debt limit negotiations the minute the tax issue was raised, saying it was above his pay grade and had to be carried out by the Speaker and the President—only to immediately disavow the agreement that Boehner and Obama reached. On the payroll tax negotiation, Boehner had no choice but to cave to aggrieved Tea Party members, lest he risk again having Cantor abandon him, leaving him exposed to right-wing attacks. Ultimately, the root of the problem may lie in the stark lessons that the Republicans elected to Congress in 2010 seem to have drawn from an earlier cohort of conservative Congressmen—those that Newt Gingrich lead into the majority in 1994. Today’s Tea Partiers recognize that they share a similar governing philosophy with their forebears, but they believe almost uniformly that the Gingrichites sold out too quickly, blinking unnecessarily when the political heat got turned up. The conclusion many have drawn is that Gingrich made a huge mistake when he gave in after the disastrous government shutdown at the end of 1995—if Republicans had held out, lashed themselves to the collective mast and weathered the storm of public disapproval, Clinton would have caved and they would have succeeded at rolling back the welfare state. There is, of course, zero evidence for this thesis, but that doesn't matter. Some of this group will come back to DC in January believing that Boehner and sellouts like Mitch McConnell and John McCain have just repeated the error of 1995. That will make John Boehner's task even more difficult as he moves to negotiate a new deal on the year-long extension of the payroll tax cut, and will compound his difficulties as he considers other key decisions, including the looming expiration of the Bush tax cuts. 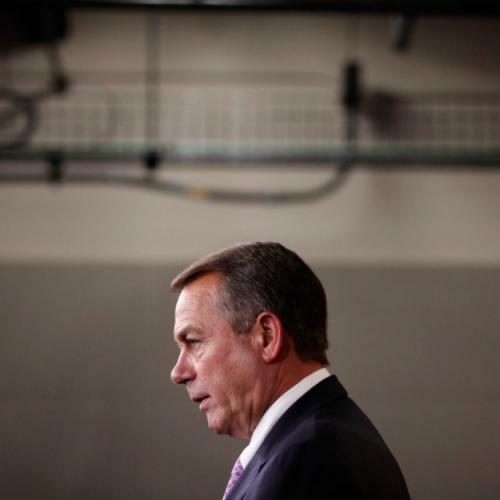 For Boehner, the nightmare will not only continue, but deepen. Norman Ornstein is a resident scholar at the American Enterprise Institute and a weekly columnist at Roll Call.